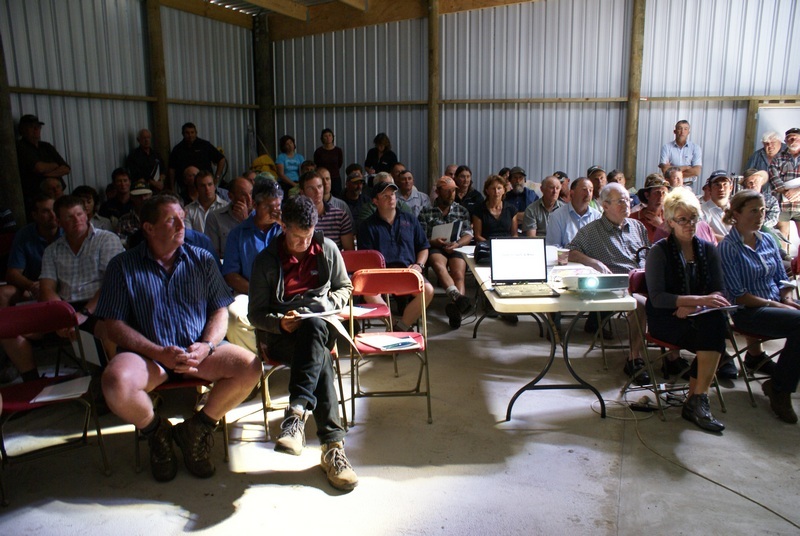 Taharoa Trust field day a success – Earthlimited | Earth Limited? We held a very successful field day at Taharoa Trust farm on Mahia Peninsula yesterday, hosted by owners Pat and Sue O’Brien. 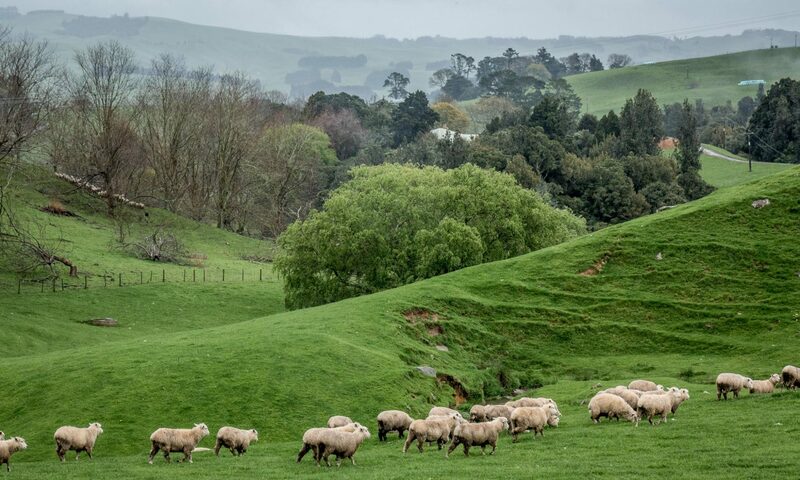 There were about 70 farmers and rural industry people who came from as far afield as Porongahau in southern Central Hawke’s Bay and north of Gisborne. The field day was one of three being held in Hawke’s Bay as the culmination of a two-year Sustainable Farming Fund project. The focus of the project has been the long-term resilience of hill country farming in the face of a changing climate. The day began with a welcoming Karakia from Sue O’Brien ahead of an opening one-hour session. Project Manager, Gavin Kenny, then provided an overview of the project and key outcomes. The project began with in-depth interviews held with 21 farmers spread throughout Hawke’s Bay. The focus of these interviews was to determine what farmers had learnt from past and recent droughts, as well as flood events, and what they were putting in place to deal with future climate extremes. Information shared by the farmers has been collated as part of a series of four fact sheets. Three farmers were identified for more in-depth studies. These involved development and publication of a farm environment plan and preparation of a summary case study. Three field days are being held to share the fact sheet and case study information. 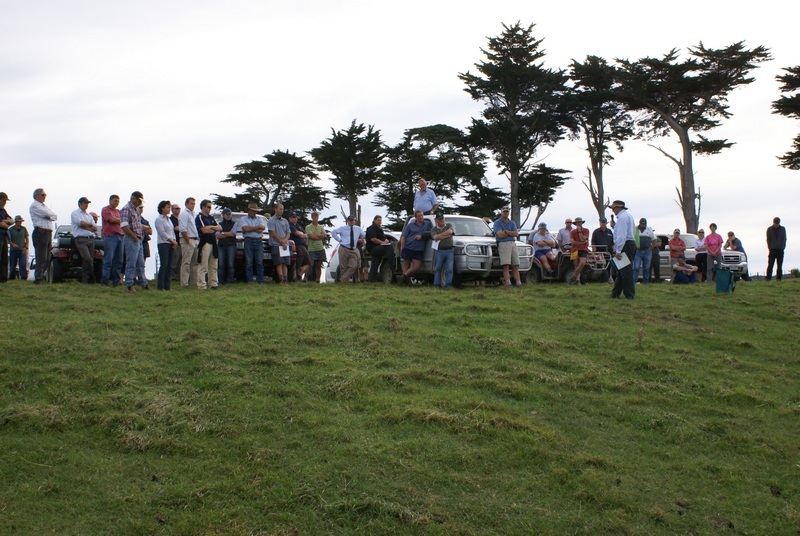 The first field day was held at Tim Dinneen’s family farm, Williams Hill Station, near Puketitiri on 11 March. The Taharoa Trust field day was the second. The third and final field day will be held at Mangarara Station in Central Hawke’s Bay on 10 June. The main focus of the field days is building resilience for the future and Gavin Kenny provided a brief summary of what this actually means. The main components are: buffering capacity (eg, ability to withstand a drought or flood); self regulation (eg, ability to manage a drought without dependence on imported feed); adaptability (ie, capacity to adapt and change over time). His talk concluded with a couple of quotes from farmers who said they wanted to see working models of resilience. Taharoa Trust farm provides one such working model. Garth Eyles then talked about the farm environment plan. He provided a brief summary of the geology of the Mahia Peninsula then talked about some of the key land characteristics of Taharoa Trust. On the terraces the soils are formed from volcanic ashes and loess. On the steep slopes the ash has disappeared and the soils are formed on the mudstone. Garth talked about the different land management options needed to protect the land, some of which are already being put in place. An important characteristic of the property is the 27 hectares of wetland that have been progressively fenced off over the last five years. Mike Halliday gave a brief talk on farm shelter. Pat O’Brien has been busy removing old macrocarpa trees over the last decade and with his farm redesign programme well underway is now looking at shelter plantings for the future. One of the fundamental principals of good shelter design is to plant a semi-permeable shelter. Another important consideration is orientation for the sun, with evergreen trees planted north-south and deciduous trees planted east-west. Pat O’Brien concluded the session with an overview of what had been achieved in the ten years since they took over the farm from Sue’s parents. Significant development work has been done, with an on-going focus towards matching land use to land class. This has involved retiring the wetland areas and an area of bush, and intensifying farming on the better land. Key developments have included: water reticulation; a greater trading component with the stock; pasture improvement and cropping; and a shift to a low input soil management programme with the Hatuma Lime Company. Pat and Sue both have a strong sense of guardianship with the farm and this was clearly reflected in the current and future planning. Lunch was then provided before everyone headed out onto the farm, where three sites were visited. The first site was next to the bush block, overlooking one of the main wetland areas that has been retired and fenced off. John Cheyne, a wetland expert with Fish & Game, talked about the significant value of wetland areas and the multiple functions and benefits that they provide. This includes the increased biodiversity, a filter zone, and buffering against flood events. Peter Manson, from the HBRC Wairoa office, talked about the support HBRC provides farmers who wish to protect wetland areas. Their programme provides a grant to cover half the cost of fencing materials. The O’Briens have made a significant investment in protecting the wetland areas. They’re already realising the benefits. The obvious economic benefit is the ability to focus more time and effort to intensification of the better land. When asked whether the same number of stock could be grazed with less area, Pat didn’t believe that fencing wetland areas out had affected his overall carrying capacity at all as it had been combined with an intensified grazing regime. Experiencing the increase of native plants and bird life is another very important benefit to Pat and Sue. The second site was looking out over a valley system that was likely formed in the past when the sea level was higher. There is a relatively small stream running through this valley, which Pat is aiming to fence off in future. At this site Bill Nicholson, from Hatuma Lime Company, shared information on the benefits of a low input farming approach. When asked about the one ton of lime to one acre “rule of thumb”, Bill responded that experience shows little and often gives much better results over time. An important feature of a low input approach is the encouragement of biological life in the soil. He shared information from a farm near Wairoa that has been following a low input regime for 30 years. Questioned about whether his switch to a low input regime was because of cost, Pat responded it was more due to other factors. For them such an approach is more consistent with the sustainable farming model that they are developing. At the third and final site Warwick Green from Seedforce talked about pasture species for future resilience. Warwick is working with the O’Brien’s to improve their pasture. As a farmer with more than 30 years experience with pasture breeding, Warwick has a wealth of knowledge to share. He talked about the need to be much more focused on matching pasture species and variety to the desired use and land class. He commented that resilience in pastures is about having a farm plan and a range of pasture species all chosen for the specific purpose intended in different parts of the farm. Advance planning is essential. He suggested that with a greater frequency of warmer, drier, conditions in future we made need to look outside the square to what the Australians and others have been doing. In summary, he said there are plenty of options out there, but perhaps not enough pasture specialists anymore. Mike Halliday then gave a quick description on how a shelter system could be applied to the block of land being viewed using existing fencelines and contours. The day was concluded with a thank you to Pat and Sue, who were presented with a copy of the Hawke’s Bay ‘Guide to Successful Farm Forestry’. Feedback on the day was very positive with the right mix of good information and seeing what was being done on the farm.